We have less than a month until Labor Day. While we’re trying to cram last-minute summer activities to enjoy the weather and time off, we also need to start planning our last weekend of summer. 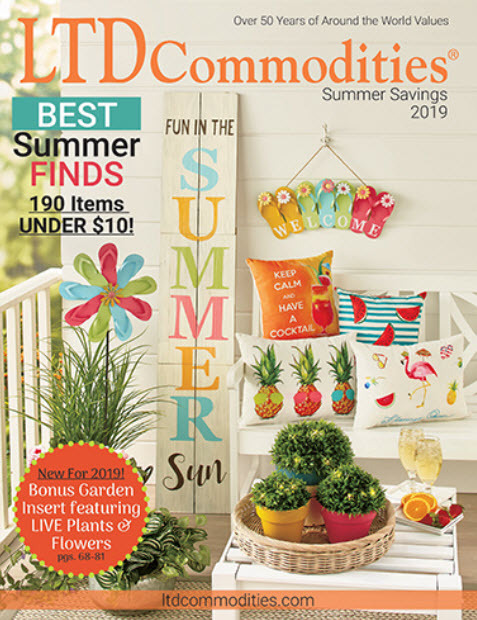 Whether you’re taking off for that last gasp of summer or you’re sticking around for a cookout, we have loads of items to make your Labor Day memorable. Here is this week’s Items We Adore: LTD’s Product Picks for the Week for Labor Day. Travel in Style Your young one will travel in style with the 2-Pc. Kids’ Fashion Luggage Set. They will have everything they need for a family vacation or trip to grandma’s house. The travel tote features a front pocket and an open interior for storing books, toys, a tablet and more. A 4″-16″ adjustable body strap and 2 handles makes carrying easy. The rolling suitcase features a roomy interior with elastic straps to hold everything together and a front pocket that holds miscellaneous items. A 13″ telescopic handle and 2 wheels allow for easy pulling. Both luggage pieces have secure zipper closures. 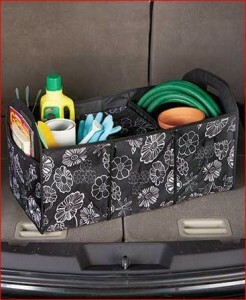 Practical Travel Aids Banish messy trunks with a Collapsible Trunk Organizer with Removable Cooler. 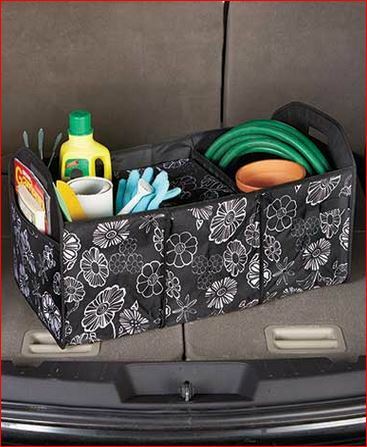 Use all 3 compartments to store maps, emergency supplies, shopping bags and more. Or, use one of the compartments to hold the removable cooler. Fully insulated, the cooler has room for snacks and drinks, a full-zip closure and a handle. The organizer has pockets on both ends. Both the organizer and cooler fold for compact storage. 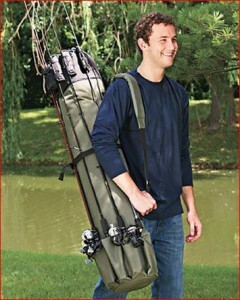 Fishing on the Fly This Fishing Rod Case is a must-have organizer for anyone who loves to fish. The case holds 5 rods on the outside, plus more rods and equipment on the inside. The exterior features pockets on the bottom and padded straps with fabric-magic at the top to secure and protect the 5 rods. The rod case also features a quick fastener strap that secures gear during transport. A zipper on the side provides easy access to the large inner storage compartment. Also has a huge exterior pocket with fastener for banksticks and essentials, plus a padded adjustable shoulder strap and carrying handle. Convenient Condiments The Black Scroll Tabletop Caddy lets you organize and display mealtime extras in a convenient and portable powder-coated wire basket. 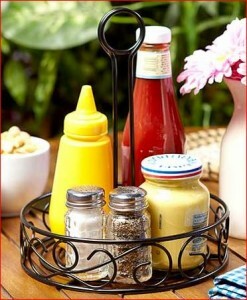 The slotted handle of the Condiment Caddy holds menu cards for your events. The divided Cutlery Caddy has 4 compartments for easy utensil organization. 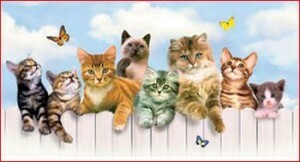 Towel for Two After taking a swim, wrap yourself up in a Colorful Dog or Cat Beach Towel. The 28″ x 58″ Towel is great for a quick dry off. The 54″ x 68″ Towel for Two is big enough to share. Fiber-reactive towels will not fade or bleed in the sun or wash.